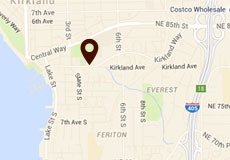 Studio East and Kirkland Performance Center are proud to announce the long-anticipated return of the Kirkland Community Musical. 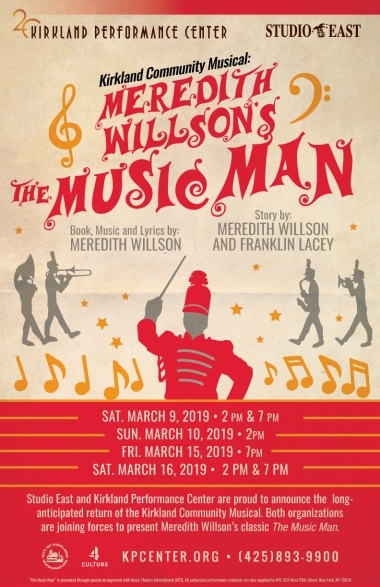 Both organizations are joining forces to present Meredith Willson’s classic The Music Man. When Harold Hill, a traveling con man, arrives in River City, he convinces the locals to start a band by purchasing the uniforms and instruments from him. His intention is to flee as soon as he receives the money. Librarian Marian Paroo suspects Harold is a fraud, but holds her tongue since her moody brother, Winthrop, is excited about the band. As Harold begins to develop feelings for Marian, he faces a difficult decision about skipping town.